Family provides a significant meaning to an individual’s life. It gives a sense of belonging, a purpose for living, and also an identity for one?s presence. Marriage is one such event that initiates a person into the journey of living selflessly for the wife, kids, in laws, grandchildren and so on. Marriage is considered to be the most important event in one?s life, and it is a principal part of most of the civilisations across the globe. It can be said that it is THE concept of marriage that demarcates human beings from animals. All tend to work directly/indirectly for the benefit of the family. First for the parents, and then for the wife and children, and the cycle goes on? It is incidentally seen that most of the cases that are pending in any civil court is issues concerning marriages. A wrong marriage can make life hell, in fact worse than the real hell. It is not that the people who are problematic, but it is the MATCH that was problematic! Misunderstanding, ego-clash, adultery, violence, childlessness?these are some of the issues that breaks a marriage. Ancient munis/saints had chalked out astrological rules 5000 years back, and all of them work with 99 per cent precision. In this article we discuss few aspects on which a MARRIAGE MAKING is carried out! It indicates the ego development between partners. It carries 1 point out of 36 points. It indicates the health and well being of the couple. It carries 3 points out of 36 points. It indicates the biological satisfaction between the couple. It carries 4 points out of 36 points. It indicates outlook and objective levels between the couple. It carries 5 points out of 36 points. It indicates internal metabolism between couple. It carries 8 points out of 36 points. But these are not sufficient to indicate a smooth marital life. Many astrologers make the mistake of matching just the stars, and ignore the other aspects of horoscopes. This leads to errors, where people find problems in marriages even after the horoscopes were tallied. These kinds of incidents invariably make the people to lose belief in this wonderful and mysterious science. 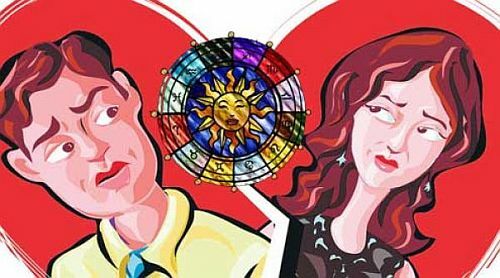 It has been noticed a lot of time that in spite of spending enough money, time and effort on horoscope matching the couple end up having an unsuccessful married life. To what can this be attributed? The karma of individuals, astrologers? inadequate knowledge, superficial analysis of charts or is it Astrology itself? Very few astrologers take enough effort to analyse charts from a closer perspective. Just matching stars and rashi doesn?t guarantee a happy married life; there are other aspects that have to be considered which most astrologers ignore! Here we have given few aspects on which a proper marriage matching is done. If these factors are analysed perfectly, then there is no way that a marriage will be unsuccessful. It can be precisely said that – Astrologers may fail, but Astrology never fails! 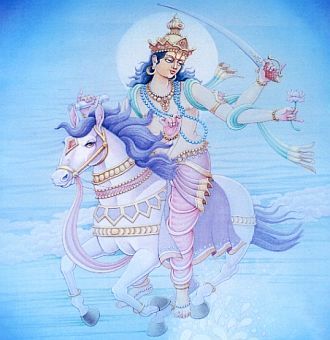 If the Mars is situated in the 2nd, 4th, 7th, 8th and 12th from ascendant it is considered Kuja dosha (Manglik). However, there are various exceptions to these rules. It is applied in down south in female horoscope. 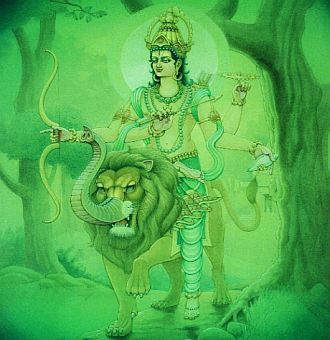 If a female is Manglik it is better to match her horoscope with a boy having Kuja dosha. Kuja is a planet of violence, and if it is in the 2nd house, it will lead to arguments, in the 4th house will lead to unpleasant feelings and will be problematic for in laws and mother, in the 7th house will give marital problems & violence, in the 8th house will lead to death and sexual problems (mostly of the spouse), and in the 12th house will lead to losses of different kinds. The rasi charts of both the people are taken, and analysed in terms of 7th house lord and lagna lord for a happy married life. This is one of the most important parameters, which helps in clearing doubts about marriages. Though the Nakshatra does not match if these parameters are strong then chart can be matched. Navamsa analysis is done to get a clear-cut picture about the whole marriage scenario. Maharishi Parashar says that this is the specific chart for marriage. If this chart is not strong then surely marriages will lead to break ups and misunderstanding. Our astrologer Gopalakrishnan has witnessed living examples of marriage getting broke due to weak Navamsa. This is another technique to clear out confusions and come to accurate conclusion in match making. Astavaraga is mathematical way of analysing the houses. Asta means eight. This technique is used with eight planets. There are many styles to of calculate Astavaraga. The best is given Maharishi Parasahra. This is a divisional chart that focuses on children. This is used to predict whether a couple will have children. This is a divisional chart used to predict about work. Mainly the boy?s chart is analysed for success and stability in work. Indu lagna, the parameter for individual?s money, can also be used to know about financial stability. Darakarka, is used in Jamini style astrology to judge the happiness in marriage. Upapada lagna is also used to judge the success of married life. This is a famous dasa used by almost 95% of astrologers in India. This dasa is employed to check the compatibility between the couple. This is also called as the king of dasa, which gives an idea about the rise and fall of a person in his life. This is considered to be the emperor of dasas. The great Rishi Parashara prays lord Shiva and starts this particular dasa. It is so correct and accurate that there is no slip in this analysis. Astrologers rarely use this. It gives a clear picture about a person life in a snap shot manner. All said and done, a person’s life partner is already decided as per his/her pastlife karma and their features, nature, timing of marriage, matrimonial life, children etc can all be determined through Krishnamurti Paddhati.